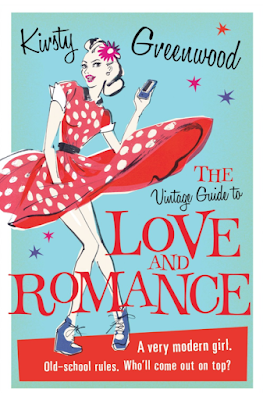 THE VINTAGE GUIDE TO LOVE AND ROMANCE is Kirsty Greenwood's second novel and I'm delighted to report that she's just as awesome a writer as I remembered. And because I loved THE VINTAGE GUIDE so much, I included a tribute mani with my review. The idea of taking old-school dating tips and applying them to modern day romance is a situation ripe with comedy, and Ms. Greenwood harvests every opportunity like a seasoned apple farmer. Or a pear farmer, I guess, considering Jess’ love for pear cider. Ha! In any event, this book is a perfect example of what I love about commercial women’s fiction, because there's a real journey of self-discovery, served with a heaping side of hilarity. Jess is an interesting gal, who follows the expected character arc of starting out as a hot mess and ending up (somewhat) getting it together. How it all goes down, though, is truly original. Jess is the kind of character people want to like, even when she makes it difficult. Writing in first person can be tricky, because if a reader doesn't engage with the voice right away, the plot can fall flat, but that doesn't even almost happen in THE VINTAGE GUIDE. Despite Jess' self-centred nature, Ms. Greenwood injected just enough heart to create a sympathetic character who makes you want to scream: OH DEAR GOD JESS PLEASE DON'T DO THAT, whilst also wanting to do a shot with her at the bar and then give her a hug. Ha! And then there was Chapter Three. Oh em gee, guys, Chapter Three. Post hilarious-train-ride, the plot really gets started, because it's when Jess moves in with her estranged grandmother, Matilda, who wrote books about the proper way to attract a man in the 1950s. Shockingly, none of her tips include getting smashed at a cocktail party and making out in public. So, suffice it to say, they have some conflict. But with their livelihoods on the line, Jess and Matilda have to find a way to work it out. 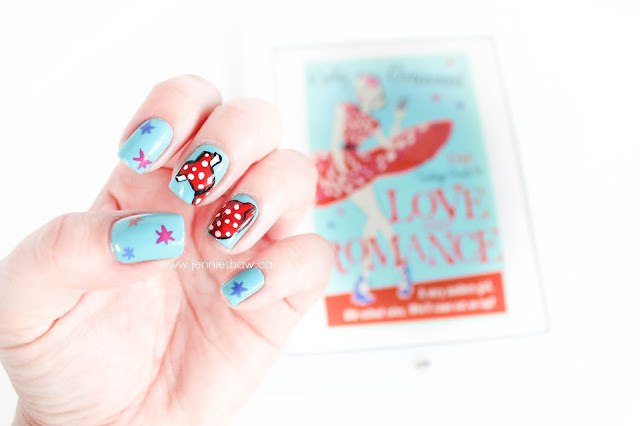 Yes, romance is an important component to THE VINTAGE GUIDE, and it drives the plot forward, but it's Jess and Matilda who steal the show (which, in my opinion, is how it should be done). I could go on and on in this review about how awesome THE VINTAGE GUIDE is, but I can only say "it's freaking amazeballs" so many times before you'd get bored. So if you love books that will have you snorting with laughter and possibly happy crying in the end, then you need to pick up THE VINTAGE GUIDE TO LOVE AND ROMANCE. And afterwards, if you haven’t already, you should also get a copy of Ms. Greenwood's first novel, YOURS TRULY. Kirsty Greenwood is an incredible writer, guys and gals, and as far as I’m concerned, her work is a shining example of what commercial women's fiction should be. And really, there isn't anything more to say than that. 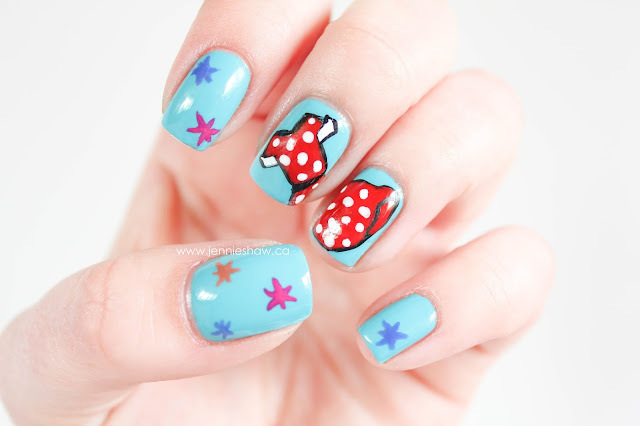 Your nails are so 1950's fun, too! I love self-discovery paired with humor. So much of women's fiction that I've read is bittersweet, or self-discovery paired with pain. I'm tired of reading painful loss and sacrifice novels- they wear me out, and they make me feel like I haven't made big enough gestures to be the heroine of my own life (and yet I keep giving, and giving, and giving....UGH). Quiet carriages on trains are my nemesis!! That book sounds cute. I'm looking for some books to read for Summer.